On 1 July 2015, SMB Swisspour GmbH, Wildau, Germany, a subsidiary of Hydraulik Nord GmbH, became owner of all the design drawings, program files, existing patents as well as all the customer data which previously belonged to Künkel-Wagner SLS Swisspour AG, Wiler, Switzerland. Operative management of SMB Swisspour GmbH lies in the hands of SMB Wildau GmbH (www.smbwildau.com). On the basis of the above specified documents and rights the SMB Swisspour GmbH develops the pouring machinery and – plants, especially the pouring machine “PUMA” and whose peripheral devices. The sales, marketing and the service is happen by the INDUGA Industrieöfen und Giesserei-Anlagen GmbH & Co. KG. 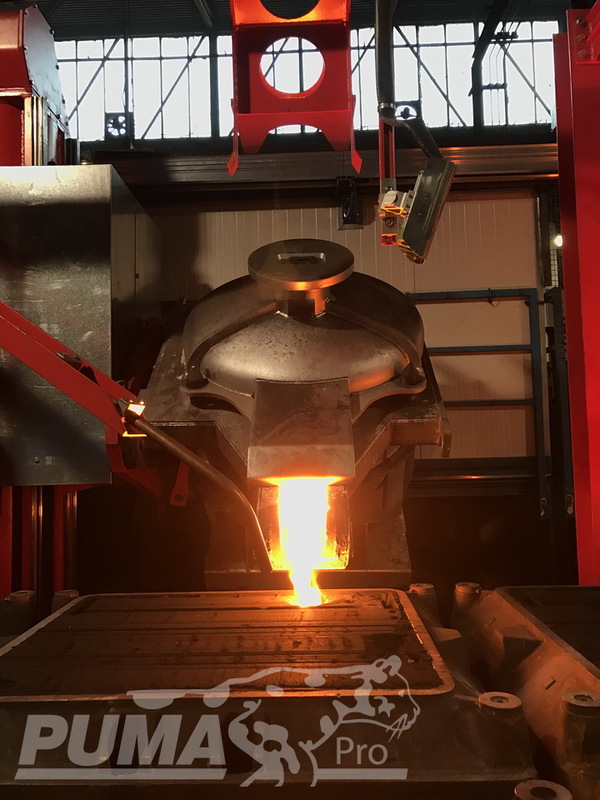 The Puma casting machine enables fully automated casting for forming lines in synchronous and cycle mode. Vertical, transverse and horizontal axes are freely programmable and can thus be adapted to the local conditions of the plant. Casting beam measurement and axis positioning based on state-of-the-art image processing algorithms enables even more precise casting. Two basic types are available, i.e. 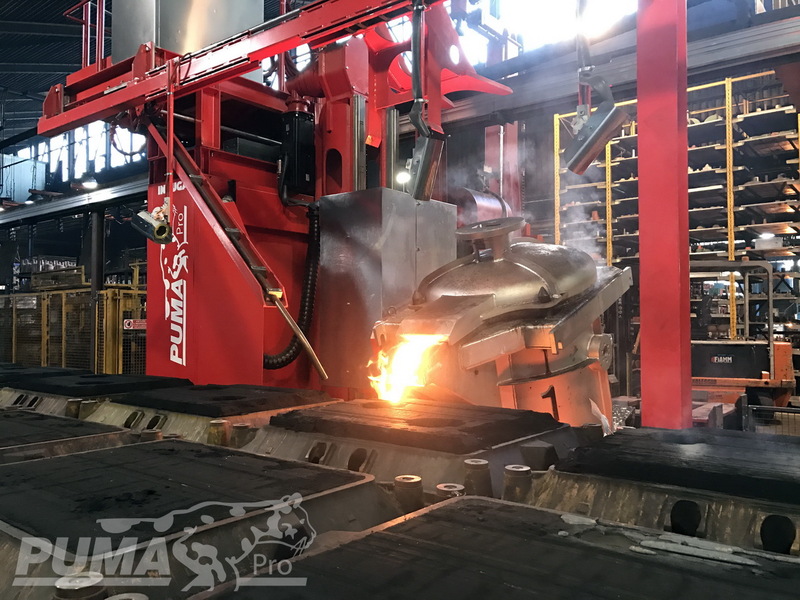 PUMA Pro 1500 with a maximum ladle capacity of 1,500 kgs and PUMA Pro 3000 with a maximum of 3,200 kgs. “PUMA” can be supplemented by different ladle handling and ladle quick-changing modules. With immediate effect the Company INDUGA Industrieöfen und Giesserei-Anlagen GmbH & Co. KG. provides services, spare parts and upgrades for your SLS pouring machinery and products (PUMA, FOX, COBRA). Click the “contact” button on our start page in order to request information and spare-parts offers.